I missed Sophie’s birthday recently. There. I said it! While groveling for her forgiveness, I stumbled across The Victorian Trading Company. I was doing a search for Victorian images on e-cards. I was pleasantly surprised to find this site and the fine items they offer. 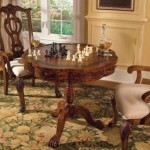 I love this “Pie Crust Game Table” which makes me want to have a game night every night. There are a bunch a great items available on the site – and yes, the e-cards are just what I was looking for. Send a free e-greeting card from The Victorian Trading Company. I have never been one to wear jewelry – save for watches, of which I have dozens. I have often thought that it would be great to have options other than rings, earrings, neck chains and other body jewelry to wear. 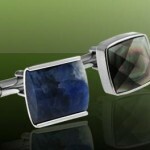 Then I discovered French cuffed shirts and the world of cufflinks opened up to me. Now I can accessorize like the best of them. I was thrilled to come across the offerings of Thompson London, a purveyor of cufflinks, watches and other accessories for men. Think about the types of things that would make perfect gifts for the groomsmen in your wedding. Visit the Thompson London website here. Check out the cool The Royal Collection.